A timeless bridal collection from BLAMMO-BIAMO. 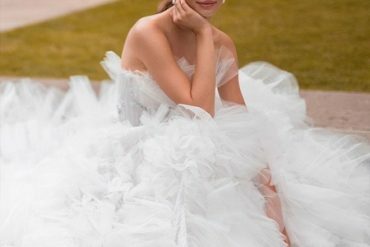 These wedding gowns feature relaxed feminine silhouettes with the abundance of ruffles flounces and a timeless style , perfect for any modern and stylish bride. I hope you enjoy BLAMMO-BIAMO 2018 Wedding Dresses .